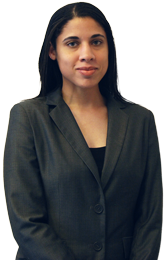 Natasha L. Edwards, Esquire, is an associate at the Law Office of Maryann Q. Modesti, P.C., concentrating in family law. She received her Juris Doctorate from Cornell Law School in 2011 and her Bachelor of Arts in Music from Messiah College in 2004. Prior to joining the Law Office Maryann Q. Modesti, PC, Natasha had international law experience interning at the International Criminal Court in The Netherlands, the International Criminal Tribunal for Rwanda in Tanzania, and Christian Solidarity Worldwide in the United Kingdom. She has been a child advocate with the Montgomery County Child Advocacy Program since 2012. She has also been volunteering with Christian Legal Clinics of Philadelphia since 2012 and served on their Young Professionals Board in 2013. Natasha is currently on the board of directors for The Place of Refuge in Philadelphia and for GOGF Ministries in Lansdale, where she served as Short-Term Missions Coordinator prior to attending law school. She attends Indian Creek Church of the Brethren in Harleysville, where she serves as choir director.